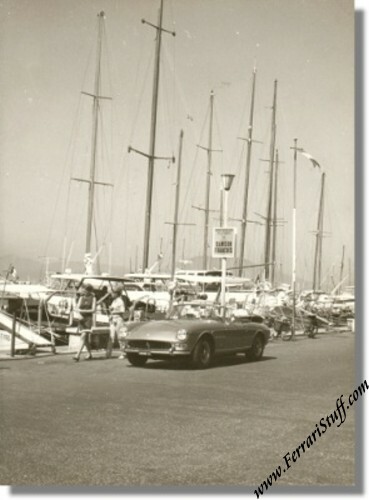 3 Vintage 1965 Ferrari 275 GTS Photos - St. Tropez. 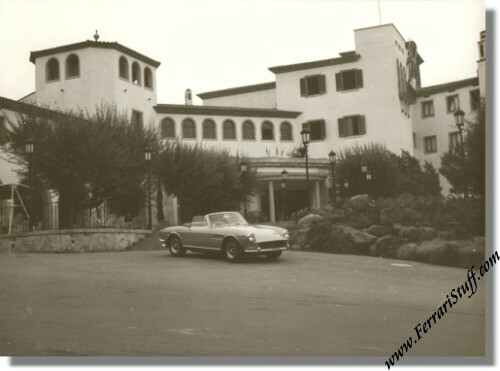 This is a set of 3 vintage 1965 photos of a Ferrari 275 GTS, taken in 1965 during what looks to be a "Roman Holiday" in the Mediterranean area, either in Italy or in France (most probably France, see below). 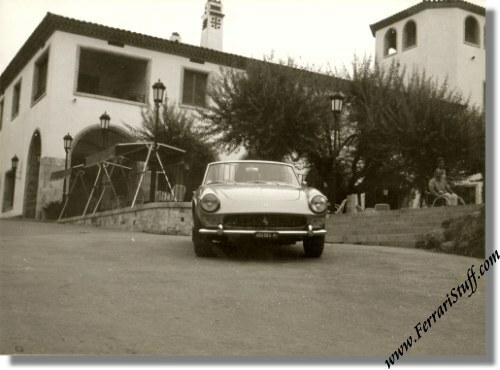 The car is registered "MI A59580" which indicates that this S/N 07325 which at the time was owned by a Mr. Angelo Terruzzi of Milano, Italy. The car now seems to reside in a collection in Italy. 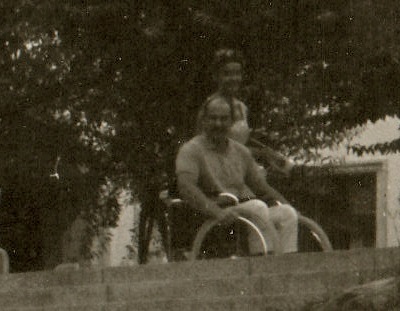 One of the photos in front of the large white building shows a balding mustachioed gentleman in wheelchair, accompanied by a nurse in the background which could hint a hospital or clinic. 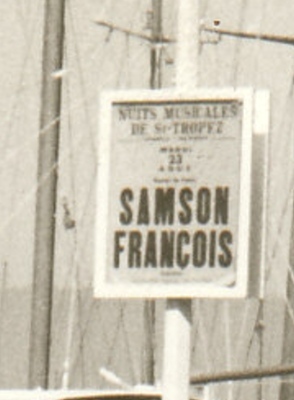 The photos show no further clues, also not to the photographer but given the setting, it is most likely that they were taken by Mr Terruzzi himself. Each photo measures some 7 x 5 inches (17.5 x 13 cm) and is glossy black & white.